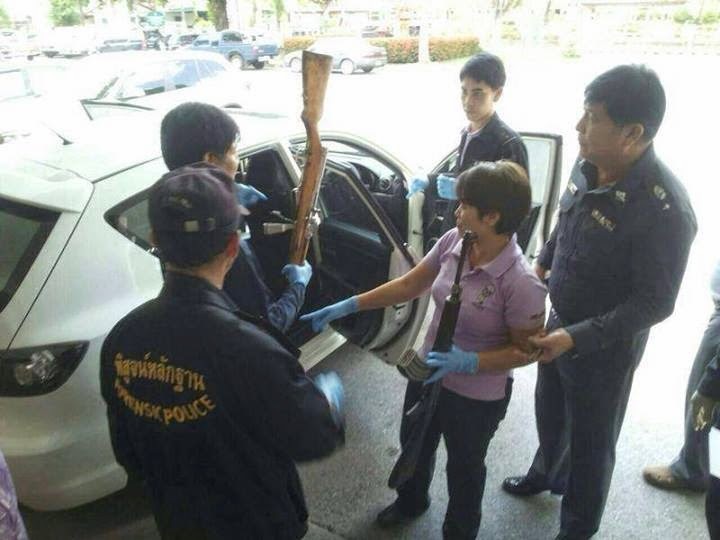 Image: AK47s seized in back from regime politician's car. May 20, 2014 (Tony Cartalucci - ATN) - The Royal Thai Army (RTA) has announced that it is taking over responsibility for national security from the current regime's so-called "Centre for the Administration of Peace and Order" (CAPO). The move came after nearly six months of terrorism carried out by pro-regime militants the regime itself has failed categorically to either condemn or counter with its sweeping, self-granted security powers. As recently as last Thursday, an M79 grenade attack on anti-regime protesters left 3 dead and many more maimed, including an elderly woman who lost her eye.